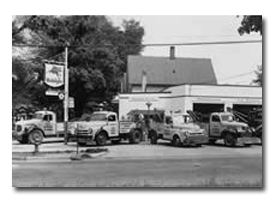 Since 1935, Shroyer & Central Towing has been offering around-the-clock towing and emergency recovery services to the Greater Lansing Area. We offer towing services for most major motor clubs. Our Computerized Dispatch and Call Center operates 24 hours per day. 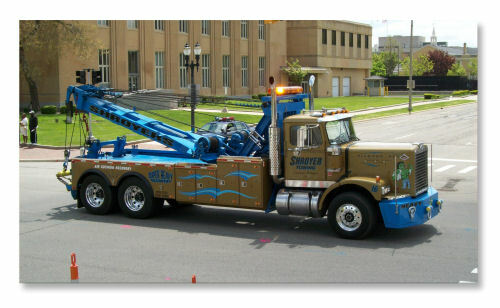 From motorcycles to semi tractor/trailers, Shroyer Towing has the specialized equipment to move your vehicle. 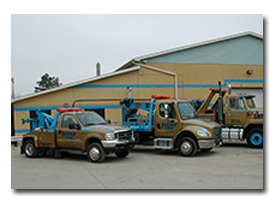 We transport heavy equipment such as loaders and excavators and can move passenger buses and firetrucks as well. Shroyer Towing gladly accepts major credit cards.